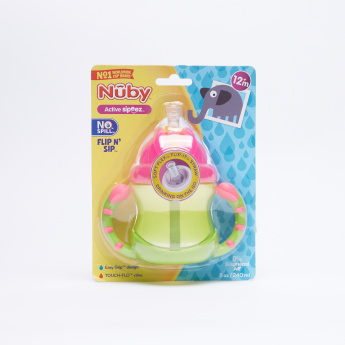 Nuby Flip -N-Sip Non-Spill Cup with Handles - 240 ml | Multicolour | Easy to hold with handle. 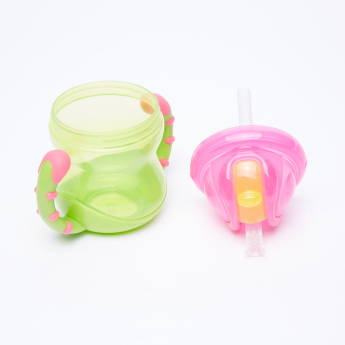 Introduce your baby to sucking milk or liquid food through this cup that has a flip and slip system on top. 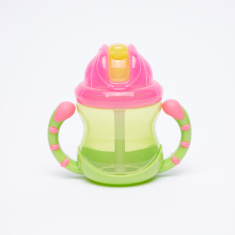 The uniquely designed handles lend support and firm grip while the lid prevents spilling. Feature 2 : Flip Cover leads hygienic and sanitary. Feature 1 : Easy to hold with handle.